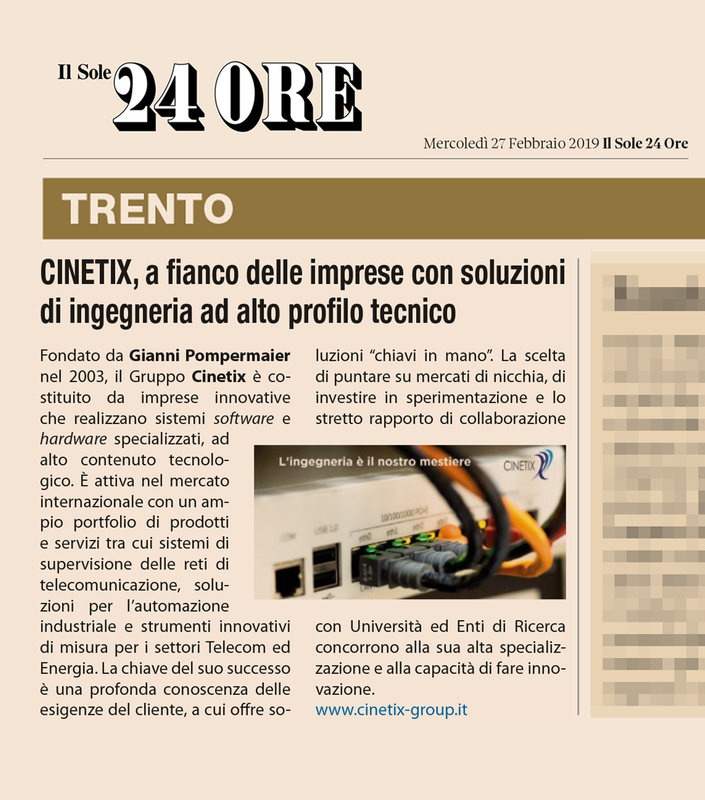 Il Sole 24 Ore, the most relevant industrial and economic newspaper in Italy, talks about Cinetix Group. An high technical Group that design ad hoc hardware and software solutions for several industrial sectors: monitoring systems for the Telco industry (Microtel Innovation), solutions for industrial automation (Phox Industrial Plants), but also innovative test and measurement instruments for Telecom and Energy (Oxys). Founded in 2003 by Gianni Pompermaier Cinetix has become a well established company in highly specialised market niches.